They originally thought it was Vince Zampella though. Popular streamer Jack “CouRage” Dunlop and esports personality Matthew “Nadeshot” Haag killed the son of Respawn Entertainment CEO Vince Zampella in Apex Legends live on Twitch. CouRage, a former Call of Duty caster now streamer, and Nadeshot, a former professional Call of Duty player turned CEO of esports organization 100 Thieves, entered into a fight with an enemy squad in the hit battle royale game that was released last Monday. They noticed mid-fight in the kill feed that they had taken out a player named “Zampella,” and coincidentally, they remembered that’s the same last name as the CEO of Respawn—the creators of Apex Legends. CouRage thought it’d be “awesome” if the player they had just killed was in fact Vince Zampella, further revealing that the CEO announced that he was playing the game at that time. 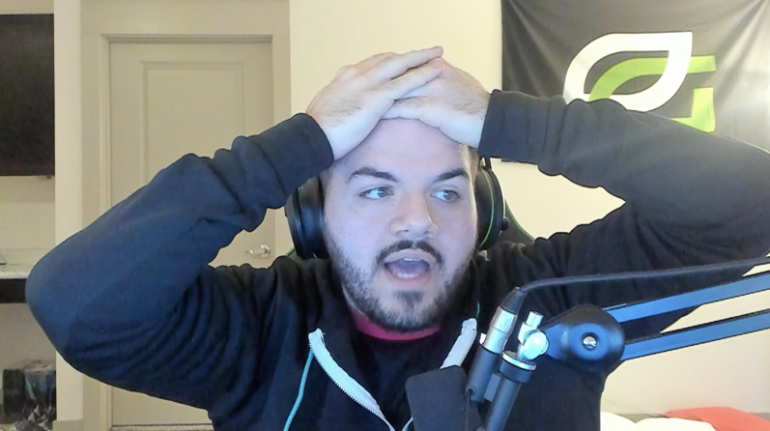 “Lol, Nadeshot and CouRageJD just killed my kid’s group on the stream,” Zampella said on Twitter. He confessed that while the steamers did kill a member of the Zampella family, it wasn’t him. “We saw he was the Champion leading into the game and had to bring the fight to them,” CouRage said, in an effort to stay on Zampella’s good side. CouRage and Nadeshot might be preparing for the new battle royale game’s first tournament, the Twitch Rivals Apex Legends Challenge, which is set to take place on Feb. 12 and 19. The event will feature 48 Twitch streamers and a $200,000 prize pool—but it’s unclear at this time if CouRage or Nadeshot will be competing. This will be the first tournament for the game that was released on Feb. 4 and quickly surpassed 10 million players in just three days.